Join d'Artagnan is his quest and find the Queen's jewels! D'Artagnan leaves his native Gascony to join the Royal Guard of the musketeers in Paris! The journey promises to be eventful for this young and impetuous adventurer. Along the way he meets Athos, Porthos and Aramis, musketeers of King Louis XIII. United by strength, these 4 protagonists set out together on this adventure. 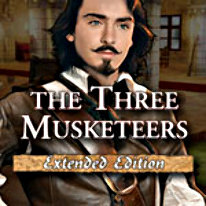 Pit your wits against the Machiavellian plans of Cardinal Richelieu, swordfight with your enemies, find the Queen's diamonds and save the honor of France... And at long last, become a musketeer!